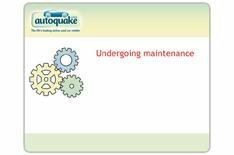 Autoquake in administration | What Car? Online used car retailer Autoquake has entered administration. 'Please be advised that Matthew Bond and Jason Godefroy of MCR were appointed Joint Administrators of the Company on 17 March 2011. 'If you are a customer or supplier of the Company and have any queries, please direct these to the Company's call centre on 0844 800 9406, in the first instance.